Whitney’s research and work in disruptive innovation shapes how individuals and corporations manage change. After publishing, Disrupt Yourself, Whitney was recognized as one of the world’s fifty most influential management thinkers by Thinkers50 in 2017 and 2015. Through speaking, writing, coaching, and consulting, she synthesizes the key levers of change and how to use them effectively. Johnson is a frequent contributor for the Harvard Business Review, and a Linkedinfluencer. Her new book – Build an ‘A’-Team: Play To Their Strengths and Lead Them Up the Learning Curve – will be published by Harvard Business Press in early 2018 building upon her work and research with teams and disruption. She is the author of the critically acclaimed Disrupt Yourself™: Putting the Power of Disruptive Innovation to Work (2015) and Dare, Dream Do: Remarkable Things Happen When You Dare to Dream (2012). She speaks on innovation initiatives, and has delivered keynote speeches to audiences of 50,000+ on discussing disruption, innovation, teamwork and organizational change. She is shaping how organizations embrace and manage disruption by leading individuals and teams up the S-curve of change. She focuses on harnessing the core competencies required to building a team to leverage opportunities and unite when faced with adversity. Co-founder of Rose Park Advisors with Clayton Christensen, where they invested in and led the $8 million seed round for Korea’s Coupang, currently valued at $5+ billion. Johnson was involved in fund formation, capital raising, and the development of the fund’s strategy. Previously, Johnson was an Institutional Investor-ranked equity research analyst for eight consecutive years, and was rated by Starmine as a superior stock-picker. Your client wants to be a great boss–a place where people want to work. But they also have tight budgets, looming deadlines and product to ship. The two often seem at odds, but it doesn’t need to be that way. According to Whitney Johnson’s proprietary research around disruption, each of us, including you, is on an S or individual learning curve. While every organization is a collection of those individual S or learning curves. 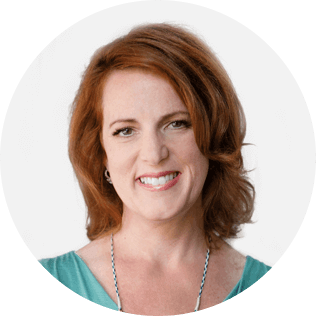 In this session, Whitney will explain how to identify where people are on their current learning curve, how to lead them along that curve, and at the appropriate time, to disrupt themselves and jump to a new S curve. As your clients allow, encourage, even require their people to learn, leap and repeat, not only will sales increase and margins expand, your client will become a boss people want to work for–a boss people love. 1. You will learn how your client can become a talent magnet, a boss people want to work for. 2. You will be introduced to the S Curve of Learning, a simple, but robust, framework for reducing turnover and enhancing loyalty while balancing organizational and individual needs. Your client wants to be a great boss, a place where people want to work. They also have product to ship with looming deadlines. The two often seem at odds, but it doesn’t need to be that way. According to Whitney Johnson’s proprietary research around disruption, every person, including your client, is on an S or individual learning curve. While their organization is a collection of individual S or learning curves. In this session, Whitney will explain how you become a talent magnet (and build a great team in the process) by identifying where people are on their learning curve, how to lead them along that curve, and at the appropriate time, help them to disrupt and jump to a new learning curve. Participants will also have the opportunity to take the S-Curve Locator (SCL) diagnostic to see where you are on your own learning curve, and then learn how to use this tool with your clients. In addition to being able to assess if a client needs to make a change, the SCL will help you take the pulse of your client’s team to determine if they are maintaining their competitive edge or at risk of losing that edge. We will also discuss how to manage people along various points of a learning curve, from inexperience to engagement to mastery. As your client allows, encourages, even requires their people to learn, leap and repeat, not only will revenue grow and margins expand, they will become a talent magnet, a boss people want to work for–a boss people love. 1. You will understand and examine the “S” Shaped Learning Curve: Low End of curve is discomfort (and excitement) of the unknown. At the high end of the curve is the confidence (and dullness) of mastery. In the middle, on the steep part of the curve is where the magic happens: where employees are happiest, learning quickly, and highly engaged. 2. You will learn how to use the S-curve locator (SCL) instrument to take the pulse of your client’s workforce. This will help you determine whether they are maintaining their competitive edge or are at risk of disruption. 3. You will learn how to manage people all along the curve: inexperienced employees at the low-end of the curve, sweet spot employees who are maximally engaged and learning fast, and how to navigate the period at the tricky top of the learning curve, and then provide steps on crafting new challenges inside of your organization.